Bachelor of Science Degree. Certification and licensure in NYS as a Physician Assistant. Must possess excellent interpersonal skills. Individual must be highly motivated and reliable. Clinical experience in an orthopaedic practice. The individual be responsible for providing direct patient care to orthopaedic patients in the clinical practice location under the supervision of a physician, in addition to functioning as a surgical first assist. Applications for this position must be received, as specified in the Application Procedure Section, no later than 5:00 PM Eastern Time on 11/25/2018, unless specifically noted otherwise in the Special Notes Section. 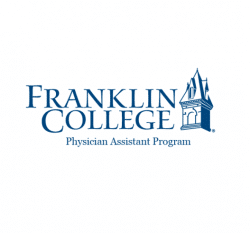 Franklin College invites applications for a full-time Clinical Coordinator/Principal Faculty positio.. Required Qualifications Bachelor of Science Degree. Certification and licensure in NYS as a Physicia..
OU MEDICAL CENTER HOSPITALISTS- NO NIGHTS REQUIRED Questcare, a division of Envision Physician Servi..